The Metro de Valparaiso is located in Chile. The latest extension of this meter known, was made in the year 2005, currently 20 Metro stations, along 43 Km (26,7 Miles), equivalent to a station each 2150 meters (2351,3 Yards). The Metro de Santiago (officially called “Santiago Metro”) Located in Chile. It was expanded last year 2011, currently 108 Tube stations along 103 Km (64 Miles), which is to have on average each station 953,7 meters (1043 Yards). 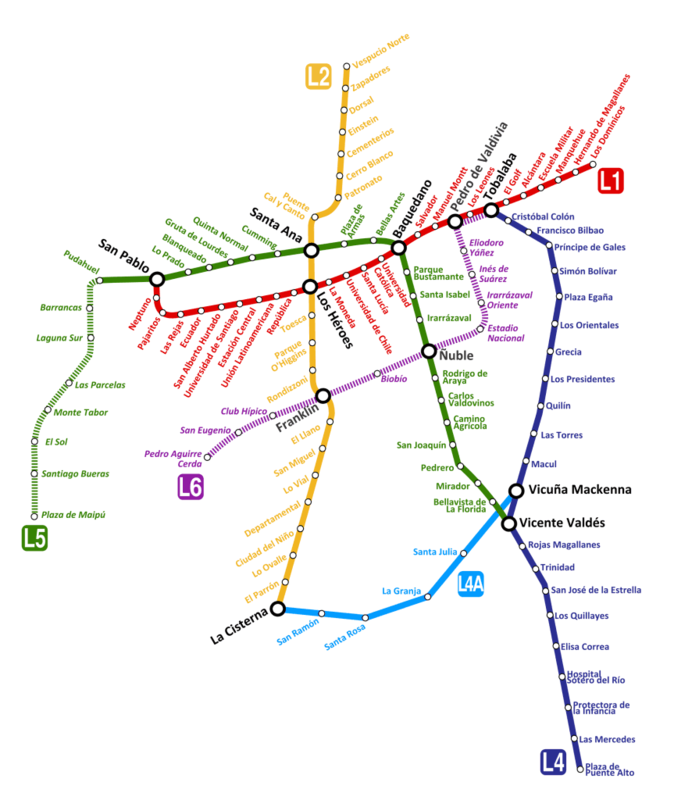 Click on the map for Metro de Santiago larger image. Official website of the Santiago Metro.